Beautiful Egyptian Style Cabaret belly dance dress. Halter style bra has strong straps that clasp behind the neck and in back. Gold colored mesh connects the bra to the skirt section. Shiny sequin appliques wrap up the mesh across the front and back of the mesh middle. 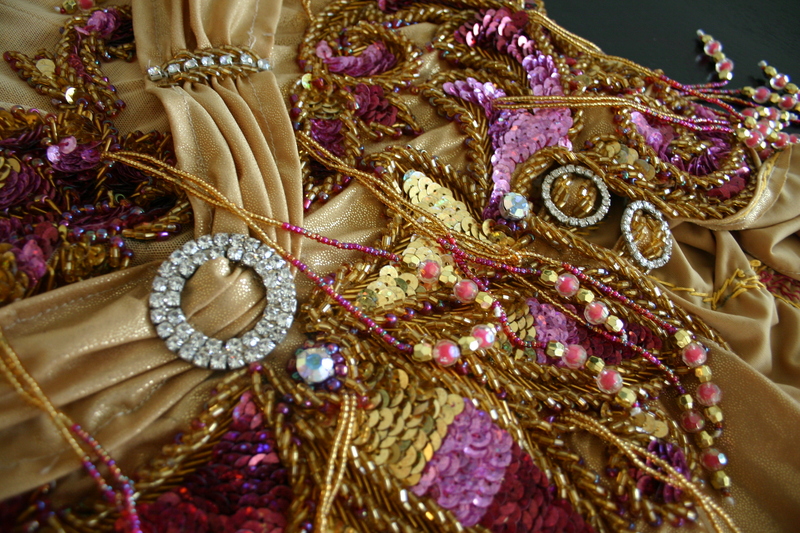 Bead and sequin work in purples, pinks, gold and some silver/white rhinestones. 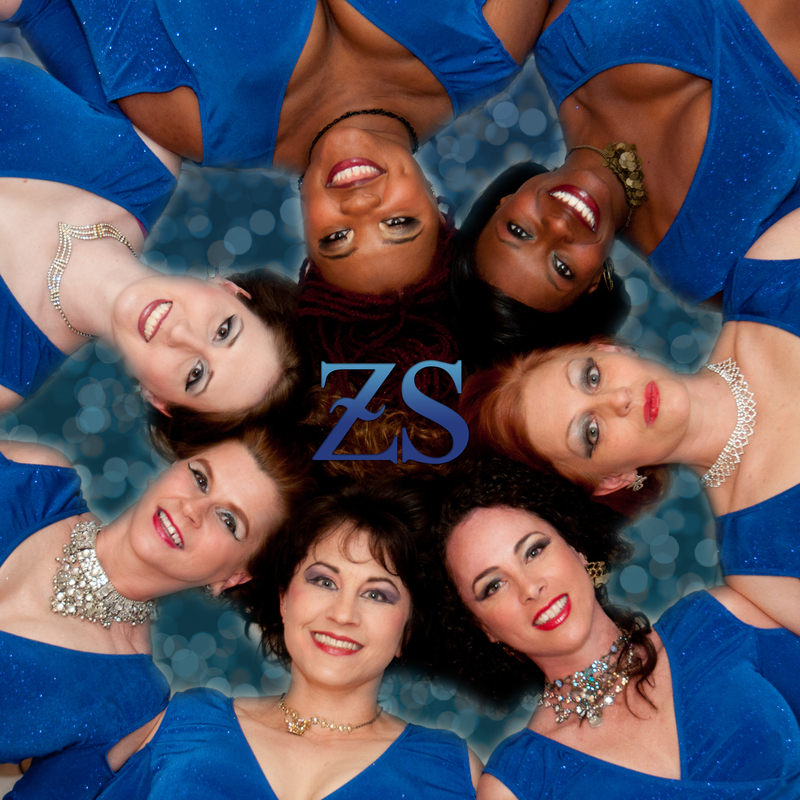 Long strands of beads emphasize the hips. 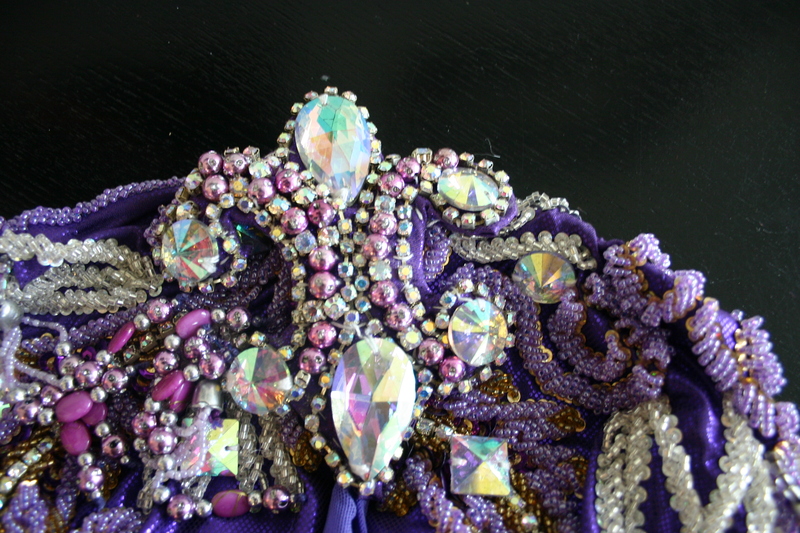 Unique ‘belt’ around the hips is accented by more appliques. Beautiful dark purple modern Egyptian bra and skirt combination from Dahlal. Only worn a few times. Chunky crystals and beadwork applique’s adorn the bra hips of the skirt. Clusters of silver and pink beads are perfect for shimmy work. Beautiful trumpet/mermaid skirt with modesty panel. Comes with matching headband and wrist to shoulder sleeves. This is the perfect addition to the professional Arabic dancer’s wardrobe.